Communications director for the Institute for Public Accuracy, Husseini said today: “Last night, John Kerry told Chris Hayes on MSNBC that he and Pentagon chief Chuck Hagel ‘opposed the president’s decision to go into Iraq...’ This is a total lie — and it covers up the fact that the administration is full of people, including Kerry and Hagel, who themselves falsely claimed Iraq had WMDs and backed the invasion of that country. Professor of politics and chair of Middle Eastern Studies at the University of San Francisco, Zunes just wrote the piece “Eight Arguments Against Going to War With Syria.” He warned in “The Case Against Kerry,” when Kerry was nominated for Secretary of State: “In 2002, he voted against an unsuccessful resolution authorizing the president to use force against Iraq only if the United Nations Security Council permitted such force under the UN Charter and instead voted for an alternative Republican resolution, which authorized President Bush to invade that oil-rich country unilaterally in violation of the UN Charter. “The October 2002 war resolution backed by Kerry was not like the 1964 Gulf of Tonkin resolution regarding Vietnam, where there was no time for reflection and debate. Kerry had been briefed by the chief UN weapons inspector and by prominent scholars of the region, who informed him of the likely absence of any of the alleged ‘weapons of mass destruction’ and the likely consequences of a U.S. invasion, but he voted to authorize the invasion anyway. It was not a ‘mistake’ or a momentary lapse of judgment. 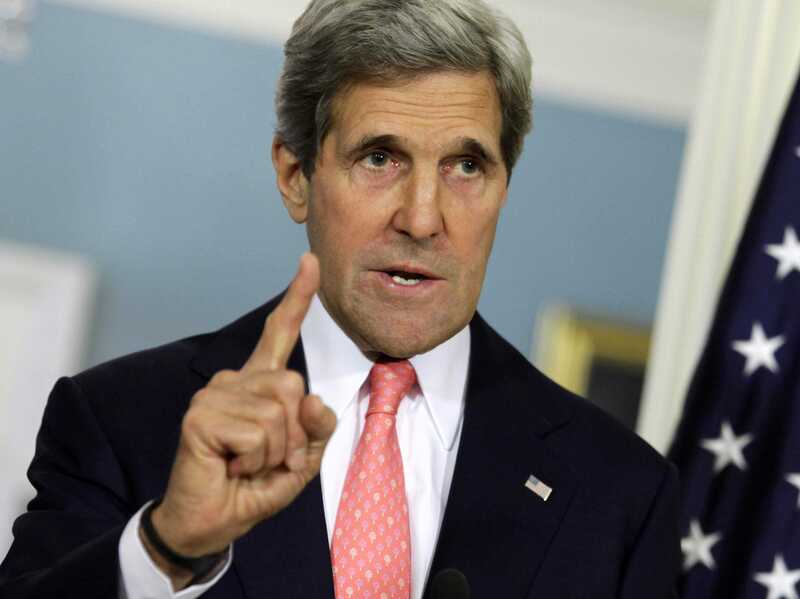 It demonstrated Kerry’s dismissive attitude toward fundamental principles of international law and international treaties that prohibit aggressive war.